In Izmir, a meeting was held between representatives of the Turkish state and jihadist militias on the future of the northern Syrian regions Idlib and Afrin. 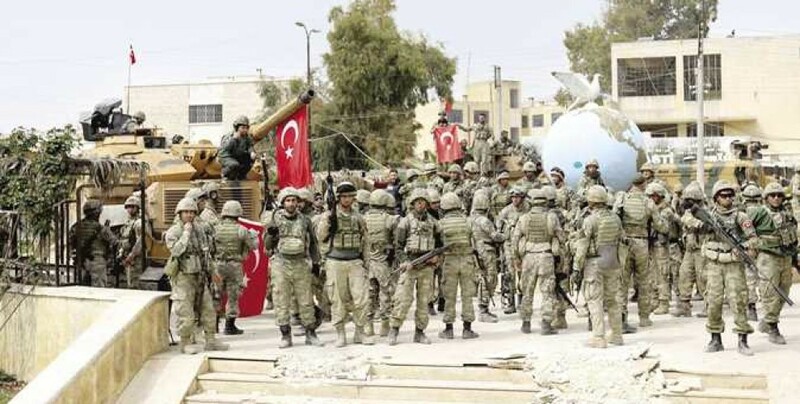 According to a report by the ANHA news agency, a meeting took place in Izmir between commanders of the Turkish military and representatives of the militias in Idlib, the Muslim Brotherhood, Ahrar al-Sham, Faylaq al-Sham and the Ismaili movement led by militia commander Abdullah al-Kurdi. The meeting also discussed the future of Afrin and decided to install an Islamic government system in the region. According to available information, an agreement was reached on the formation of the "Afrin City Council" and its chairmanship by a Muslim Kurd. Members of Turkey's Kurdish National Council (ENKS) and Abdullah Kurdi's militias are expected to join the city council. In the discussion on Idlib it was said that Jabhat al-Nusra had gained strength in Idlib, therefore a reduction and dissolution of their forces is required. Furthermore, the decision was made to unite all militias in a "national force". The meeting in Izmir served the purpose of establishing lasting colonies of the Turkish state in Syria and managing the entire region in the sense of an Islamic order.